commented on "1st May 2016 we are holding our Annual Festa to celebrate St Alfio at 65 Edmondson Ave Austral. 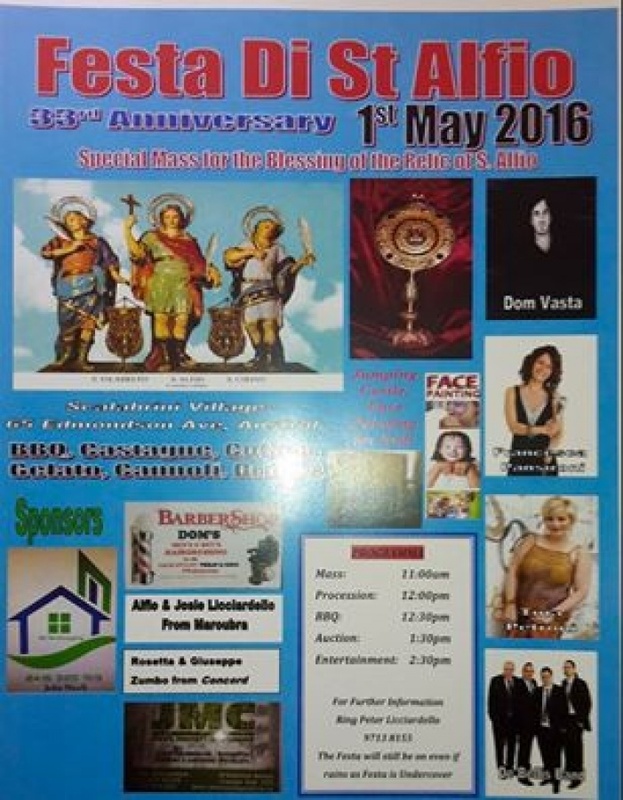 ..."
1st May 2016 we are holding our Annual Festa to celebrate St Alfio at 65 Edmondson Ave Austral. Mess 11am followed by procession and Auction and Singing Enterrtainment of Tina, Francesca and Dom with the Debellis Band. There will be BBQ, Cannoli, Gelato, Roasted Chestnuts, Drinks and Coffee. There weill be facwe painting and jumping Castle for the kids.